So, there's a new NieR in development, according to the producer at PlatinumGames, Yosuke Saito. Given that NieR: Automata is the game I called "the greatest game of all time" back when I wrote my longest review about a game, ever (and, yes, I still stand by that statement), you would think that I would be leaping for joy at this news. Related reading: Matt's massive, 4,000-odd word review of NieR: Automata. But I'm not. Actually, this NieR 3 has me very concerned. The problem is Yoko Taro. Or, more specifically, the apparent lack of Yoko Taro. For those who aren't familiar with the name, Yoko Taro is the genius behind the Drakengard and NieR franchises (they're related to one another). He has produced, written, and been the creative force behind almost the entire series. Except for Drakengard 2... which most fans agree is the poorest title in the franchise. Often Yoko's involvement has come to the detriment of the game's quality - by which I mean as a producer he has often been disinterested in making his games play well, in a conventional sense. The likes of Drakengard 3 and the original NieR were polarising between those that loved the games despite their technical foibles, and those that couldn't get past them. With NieR: Automata, Taro was able to partner up with PlatinumGames, and seemed to have enough faith in the development team that he appeared - at least publicly - to take a step back from the management of the game development process, and keep his role to something akin to creative oversight. But even then, it was clearly a narrative written by Yoko Taro, filled with themes that came directly from Yoko Taro. 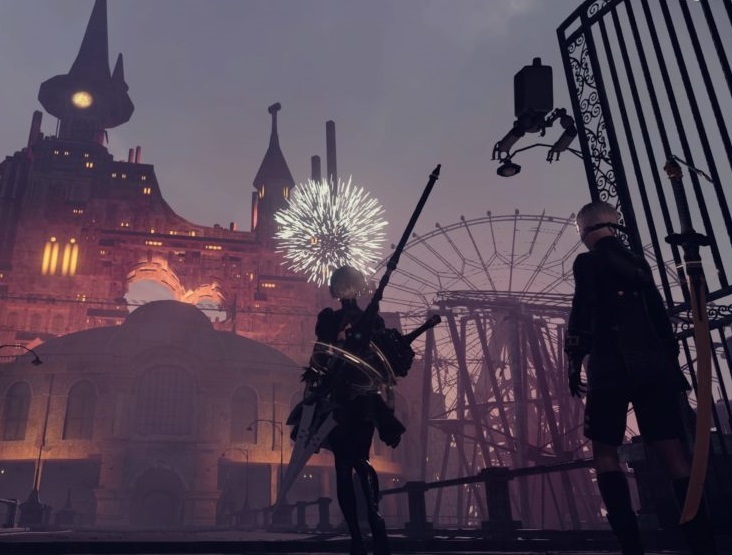 NieR: Automata was a brilliant game because it was more than just entertaining - the stuff that PlatinumGames did with it laid the foundation that the game could finally hit mass market popularity - but NieR: Automata's X-factor, the thing that made it the best game of all time, was that it was so incredibly smart too. It was accessible and enjoyable for people who weren't interested in picking it apart as a narrative, but it was also a game that's as philosophically dense as anything you'd be assigned to read at a literature class at university, and that isn't something that can be written by just anyone. It needs a specific type of creator. I have joked in the past that if there was a NieR 3, Yoko Taro wouldn't be involved with it because, now the series is mainstream and popular, he would have lost interest in it. That joke seems to be bearing out, because according to the reports confirming the development of the game, Square Enix and PlatinumGames seem to be struggling to lock him down to be a part of the project. As per the Game Informer report: Saito was also asked whether Yoko Taro is part of this new game. "He is… At least, I'd like to believe so (laughs). Taro-san says he will do anything as long as he gets paid for it, but there is no one else I know who doesn’t move for money as much as that man. He only wants to do whatever he wants to do. So I’ll try my best to explicitly say what he doesn’t want to do to guide him towards what I want to do (laughs)." That is very, very cagey from Saito. This, coupled with the fact that Square Enix has been putting up job postings for scenario writers for NieR 3, makes me wonder what kind of creative influence Yoko Taro is going to have on the game, if any at all. Even if he is involved, it may well be only as an executive producer or similar, providing general insights to the development team into the development of the game. If that is the case, it's these scenario writers that Square Enix is hiring that will determine the general direction, themes, and quality of the narrative. Not Yoko Taro. I've got no doubts that PlatinumGames will create something very fine in a NieR 3. It's the most talented action game developer going around in Japan, and it has already proven it give NieR the kind of gameplay foundation it deserves. But I'm not going to get excited for the existence of NieR 3 based exclusively on its brand. NieR needs Yoko Taro's creative vision, and he needs to be in the proverbial trenches working directly on the game. Otherwise the game will almost certainly miss the mark for what made the predecessors so potent. Related reading: An interview with Yoko Taro on NieR and all kinds of other things about his games. When or if the developers stop being cagey and confirm Yoko Taro's role in the game, then I'll allow myself to get excited for the sequel to the best game of all time.